A new approach to the most addictive match-3 puzzle games. 62 dots. 1 hole. 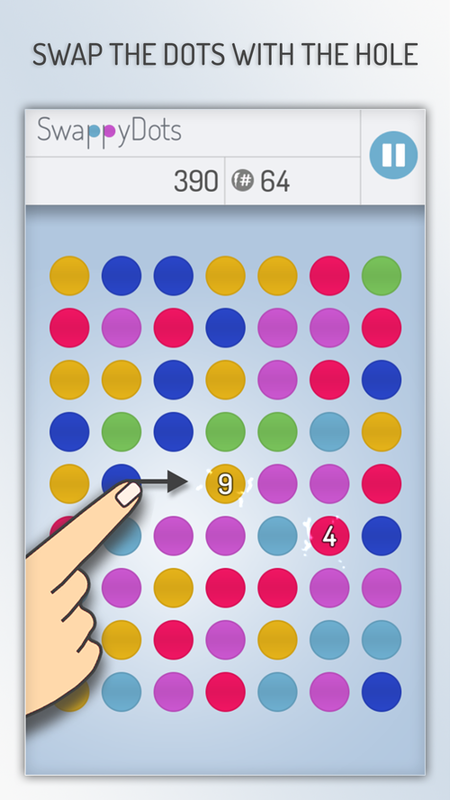 Swap the dots with the hole to get 3 or more color matches. 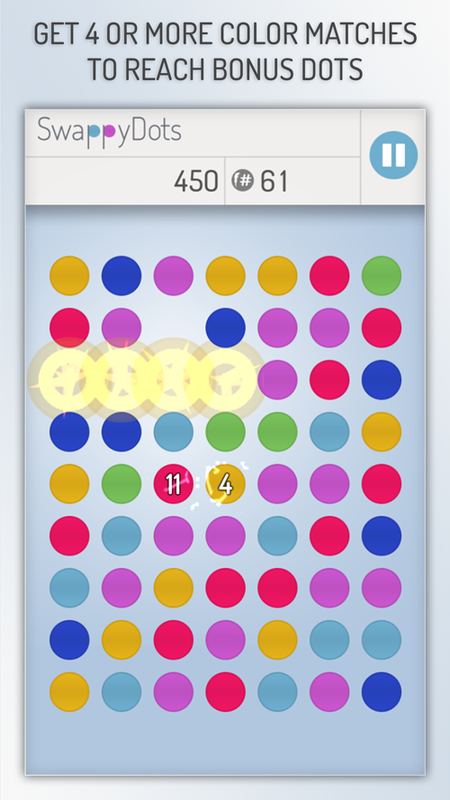 Get 4 or more matches to reach bonus dots. 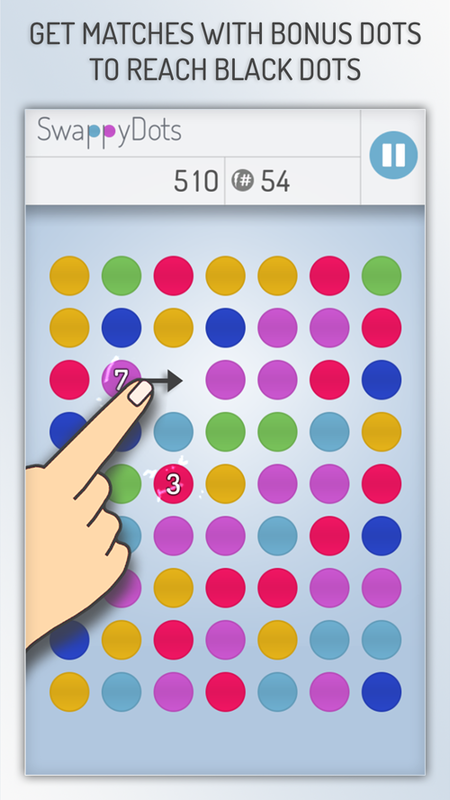 Get matches with bonus dots to get black dots and additional time or steps. And finally get matches with the black dots to get a score multiplier and bonus time or steps. No levels, no stars, only endless fun! We are waiting for your response. If you have any problem or suggestion for the upcoming updates don't hesitate to write us. We've collected the most frequently asked questions. Thanks for checking them before you ask a question. We are trying to answer all messages. I paid for "No ads" but it hasn't been activated. If you are using iOS device tap “Restore Purchase” to activate your previous purchase. I have purchased “no-ads” on one device. Can I get it on my other devices? Yes you can. On Android devices you don't have to do anything. On an iOS device tap "Restore Purchase" in the purchase menu. Please note that one purchase for multiple devices works only on iOS or on Android separately, cross platform purchases are currently unavailable. The game always closes when I start it. Try to update to the latest version of operating system. Do you offer any alternative payment methods? Unfortunately no. You can only purchase directly on Google Play and iTunes. Here you can get every new information about our game such as developments, announcements and our plans. Get notified with our Newsletter or on Facebook. 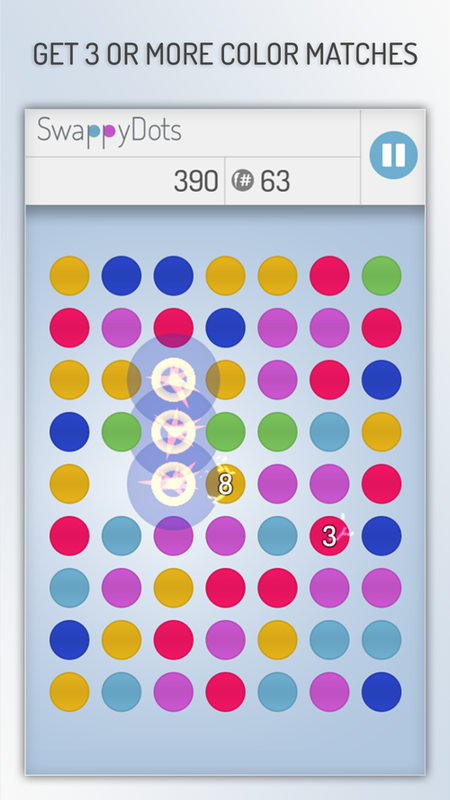 We are proud to announce the release of our game on the Windows Phone platforms. We are pleased to announce a new version of our game. We are happy to announce a new version of our game. 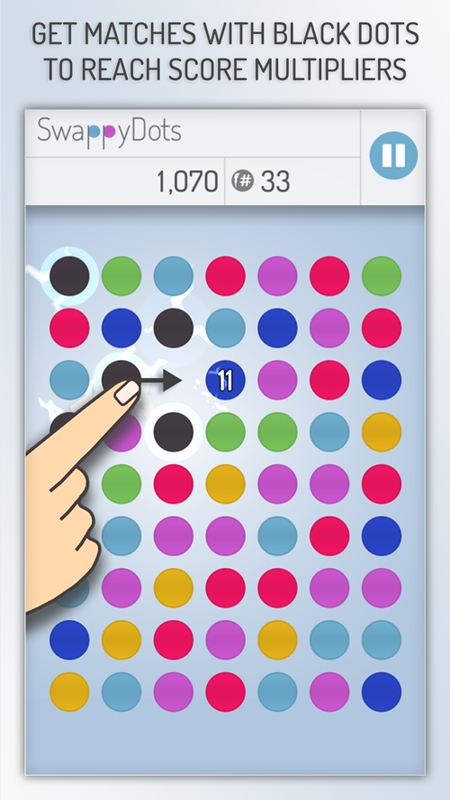 We are proud to announce the release of our game on the two major mobile platforms. We are happy to announce that we've launched this website where you can get all information about our game.